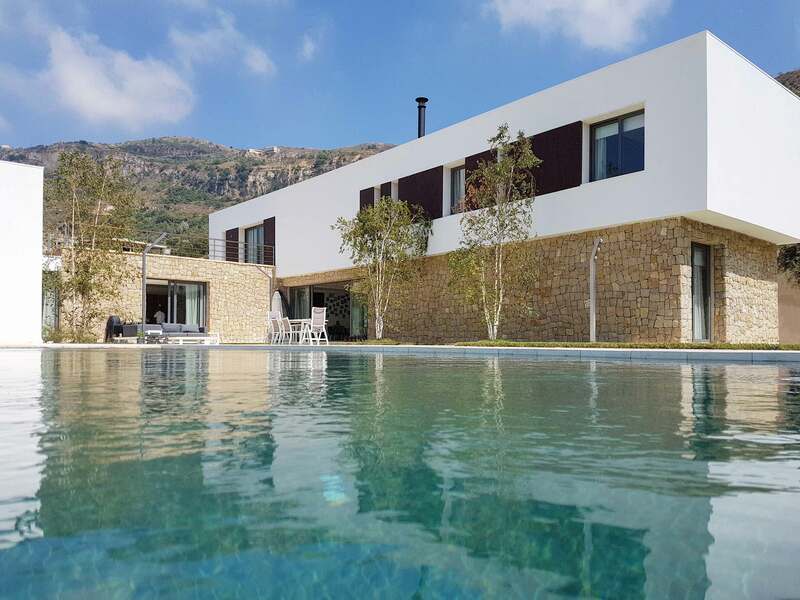 ARCHDAILY - "The Terraces House, Brih / Accent Design Group"
ARCHIPENDIUM - "Brih Villa on ARCHIPENDIUM 2017"
DESIGNBOOM - "A horizontal family villa in the chouf mountains of Lebanon"
WORLD ARCHITECTURE NEWS - "Tumbling terraces"
ARCHELLO - "The terraces House"
FLOORNATURE - "The terraces, Lebanon "
HARMONIES- "The Terraces House, Brih"
The design for a single-family villa in the Chouf mountains in Lebanon, took its inspiration from the landscape and the territory. The villa is located in the small village of Brih, which witnessed destruction and desolation during the Lebanese war. 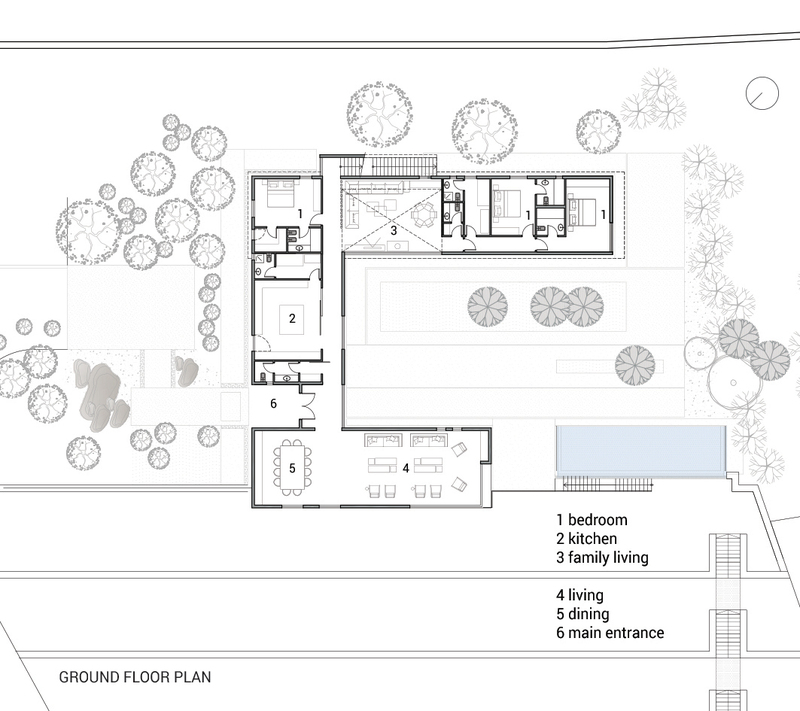 The concept evolved as a composition in two volumes, separate yet connected through the main entrance/lobby: on the frontal side, the public functions, and in the back the family areas contained in a two-storey structure. 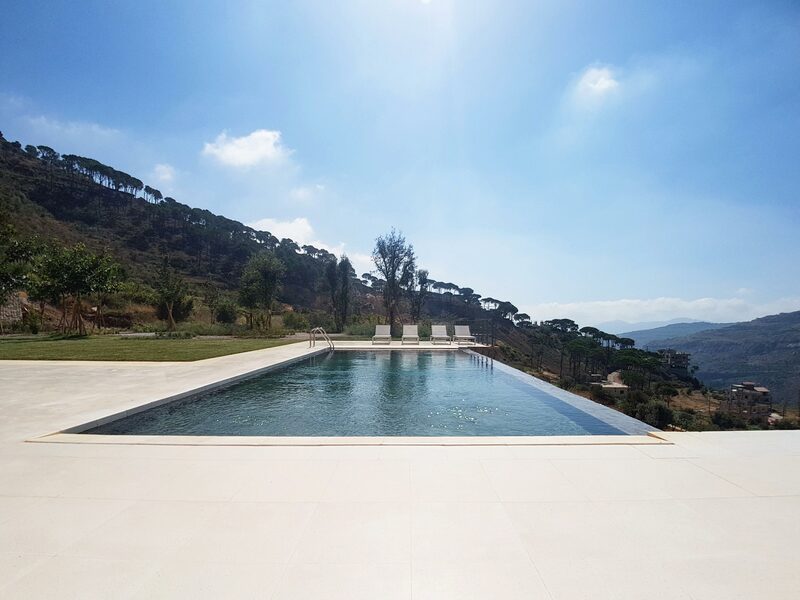 The resulting U-shape configuration encloses an outdoor space with a pool, almost like a private piazza, open to the landscape. The approach to the villa is through a meandering road at the bottom of the hill, passing though the terraced olive groves, which follow the natural topography. The building accentuates this horizontal composition, as a terminal point, combining natural stone with a contrasting white stucco in its finishing. 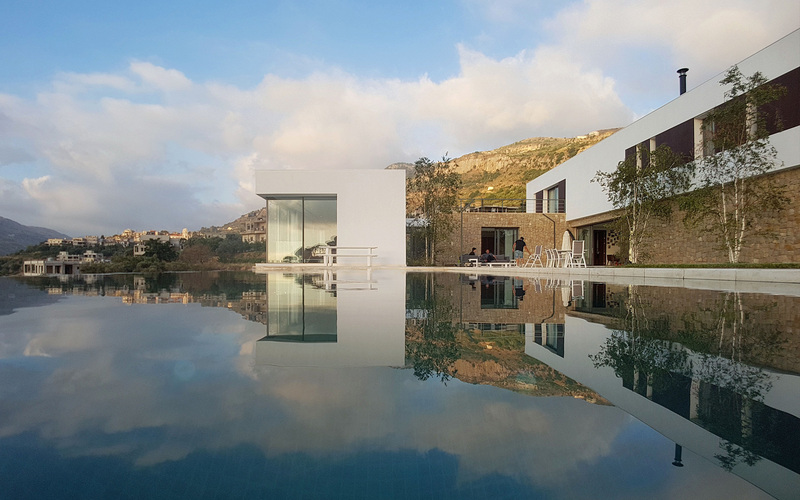 The villa embeds itself discretely within the site through this sensitive arrangement of elements, deriving its minimalistic aesthetic from the typology of traditional forms, rendered in modern forms. It reinterprets the traditional typology by opening up to the landscape, while recreating a sequence of passages and patios reminiscent of traditional architecture. The house avoids contemporary fascination with ‘glamorous’ forms, or the reactionary imposition of ‘monumental’ mansions, focusing instead on the integration in the landscape, the context, and its history.